The following is an excerpt from my presentation at the AASSC (Association for the Advancement of Scandinavian Studies in Canada) conference at Ottawa University on June 2nd, 2015. In my attempt to re-trace the steps of the Viking explorers that discovered the New World, I’ve travelled from the island of Gotland in Sweden working my way north-westward through Iceland and Greenland, photographing archeological sites and saga sites throughout Scandinavia. I wanted to learn as much as possible through first hand experience and personal observations. And like all great histories, my research raised more questions than provide answers. 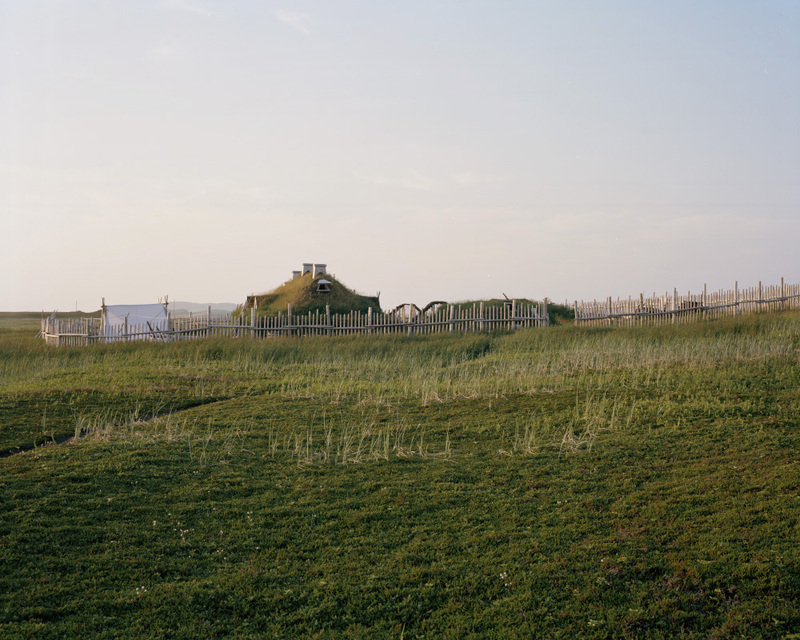 In the Dales region of Iceland, where archeologists have excavated the presumed site of Erik the Red’s farmstead, the modestly sized floor plan of a turf hut marks the beginning of the Vinland Sagas. Standing here I thought to myself, had Erik the Red had not clashed with his neighbors precipitating his own exile, would Greenland have ever become a significant Norse settlement? Had the Vikings not colonized Greenland, would they have discovered Vinland? This line of questioning prompted a metaphysical approach. 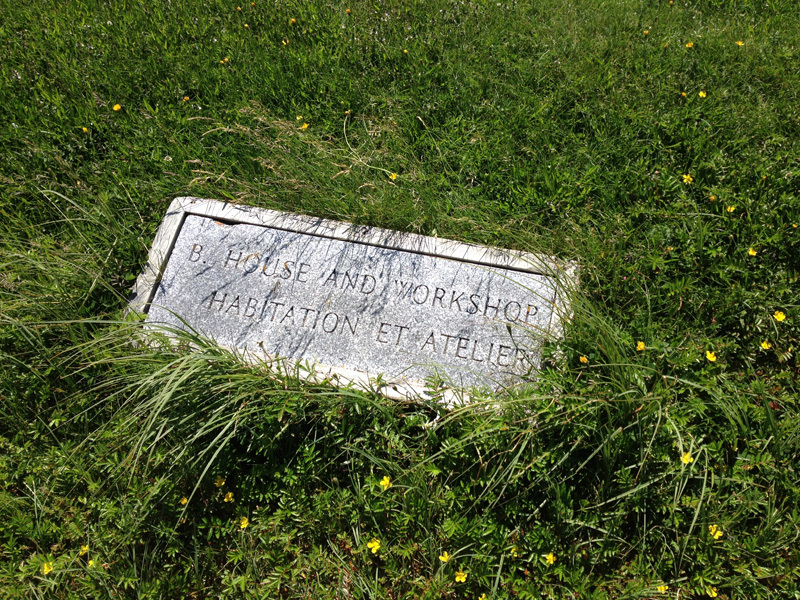 I studied the landscape– it’s properties, sense of space, the climate, and change over time. These observations progressed into more abstract ways of thinking as I noted the subjective qualities that these sites impressed upon me. From my own imaginative perspective, I believed it was no coincidence that the Norse stumbled upon North America via Iceland and Greenland. 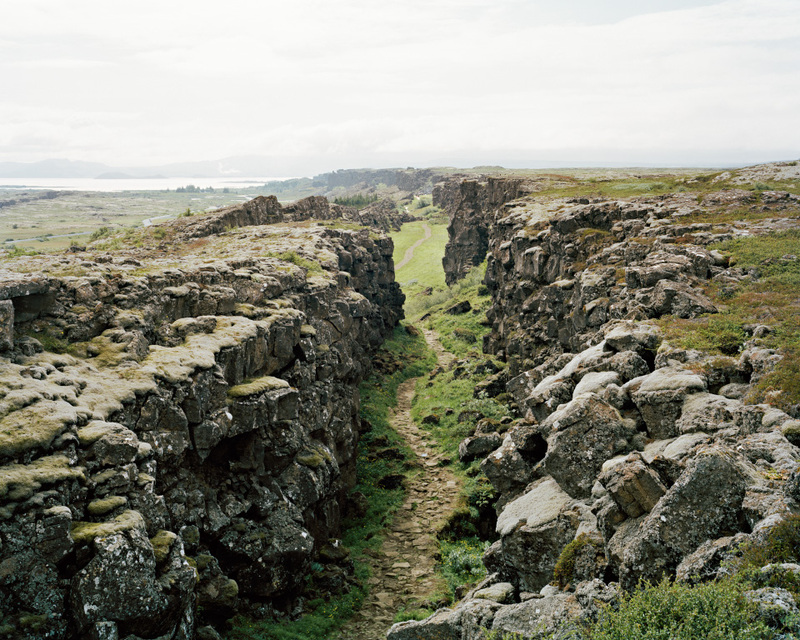 The continental rift that divides North America from Europe cuts across Iceland – the very chasm that Iceland’s settlers chose to establish their open-air parliament. Could they have already sensed that they were living on the threshold of a whole new world? During the summer of 2014, seven years after my first visit, I once again found myself at the Northern tip of Newfoundland. 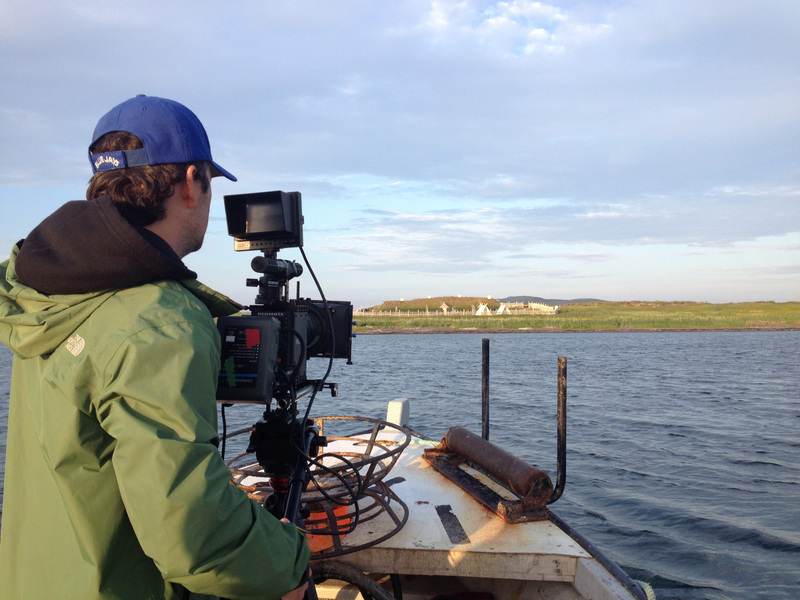 This time I was equipped with the knowledge gained from years of research and observation, as well as a 4k high definition video camera and a small camera crew, ready to perform what I call a sensory excavation of the elusive L’Anse aux Meadows. 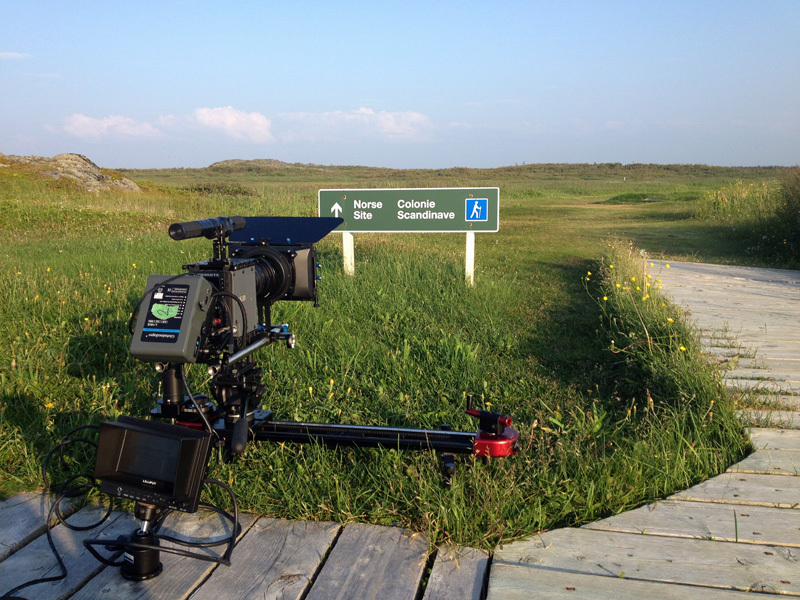 On site at L’Anse aux Meadows National Historic Site, Newfoundland and Labrador. Filmed with the permission of the Parks Canada Agency. My preoccupation with archeology is not uncommon within the realm of photographic art. 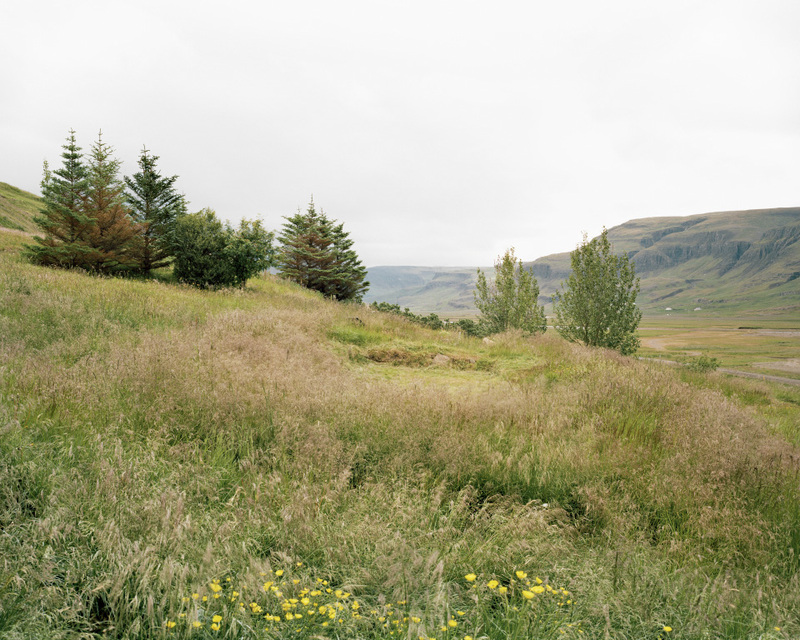 The areas where landscape and photography meet often recall notions of history, memory, identity and experience. Artist’s fascination with the prehistoric was made apparent with the rise of the conceptual and Land Art movement throughout the 60’s and 70’s but lately a focus on archeology within the field of contemporary art is on the rise. Proposing that a preoccupation with archeology was one of the dominant trends in contemporary art, a recent exhibition presented at the Museum of Contemporary Art Chicago titled “Way of the Shovel: Art as Archeology” presented works from some of today’s leading artists, reflecting their interests in history, archaeology and archival research. Largely composed of lens-based works (photography and video), the exhibition in someway refers the familiar TV network known as The History Channel. The artworks however, express a greater concern for remembering histories, challenging notions of truth and reflecting upon the process of excavating, rather than presenting any material as evidence, scientific or otherwise. Perhaps this sense of curiosity and imagination was the driving force behind Helge Ingstad’s expeditions to find the place from the Sagas known as Vinland. A Norwegian explorer, Ingstad was not a professional archeologist or historian when he came upon the site at L’Anse aux Meadows in 1960. Following the intuitive approach of an explorer, Ingstad believed that the Norse would have chosen to build their settlement in a land where they would have felt at home, “where they might live according to the old pattern of Nordic culture.” Having already travelled to the Norse settlements in Greenland to observe the characteristics of the landscape and consider the living conditions of the inhabitants, Ingstad then travelled to America, beginning a Northward journey up the coast from Newport in Rhode Island. According to his writings, he intuited all the while that he would most likely find the traces he was looking for in Northern Newfoundland. 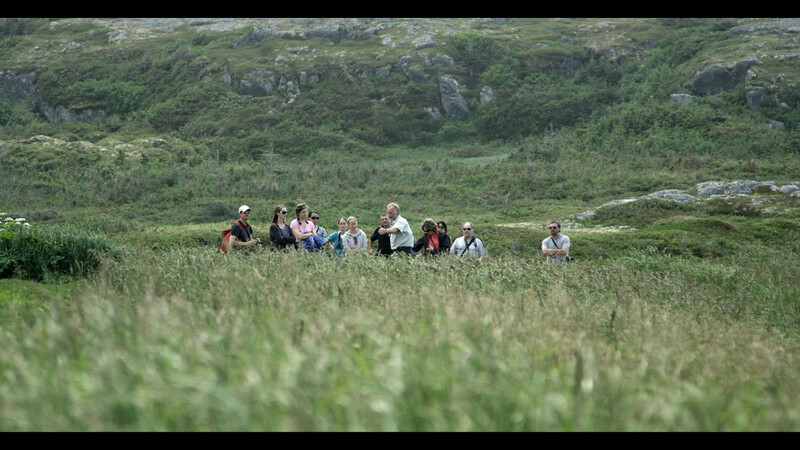 During this expedition as with previous journeys, Ingstad took an anthropological approach, showing his appreciation for local knowledge, talking to people along the way and asking locals whether they had seen traces of old house-sites. In one of his anecdotes, he tells that upon arriving in Newfoundland, he felt as though his curious questions troubled some of the hardworking residents who found his inquiries about old traces to be somewhat disconcerting seeing that he was “spending time looking for traces of people who lived a thousand years ago instead of doing useful work.” I must add here that I have often felt the same type of apprehension from some people when I tell them about my own research as an artist. From this passage, I would like to draw attention to “that something else that was not so easy to fathom.” While the ambiguousness of this statement may irritate those who are scientifically minded, I myself feel an affinity towards Ingstad’s use of intuition as it echoes the very sensation I experienced while visiting L’Anse aux Meadows as well as many other Norse Sites. And perhaps it is this very feeling that awakens the desire in all of us to understand where we come from and how we got here. With this these landscape observations in mind in, I present a work-in-progress excerpt of my video project titled “The New World”. I first visited L’Anse Aux Meadows National Historic Site in Newfoundland in 2007, when I had gone there to scout the location for another project. My first thought was “there’s not much to see here!” but still, I was captivated with the place. The subtle traces of this secluded cove had stirred my curiosity– enough so that I would eventually set out to re-trace the steps of the Viking explorers that discovered the New World. Seven years later, I once again find myself at the Northern tip of Newfoundland. It is my fourth visit and this time I’m prepared to visually capture the subtle qualities that makes L’Anse aux Meadows such an elusive site. 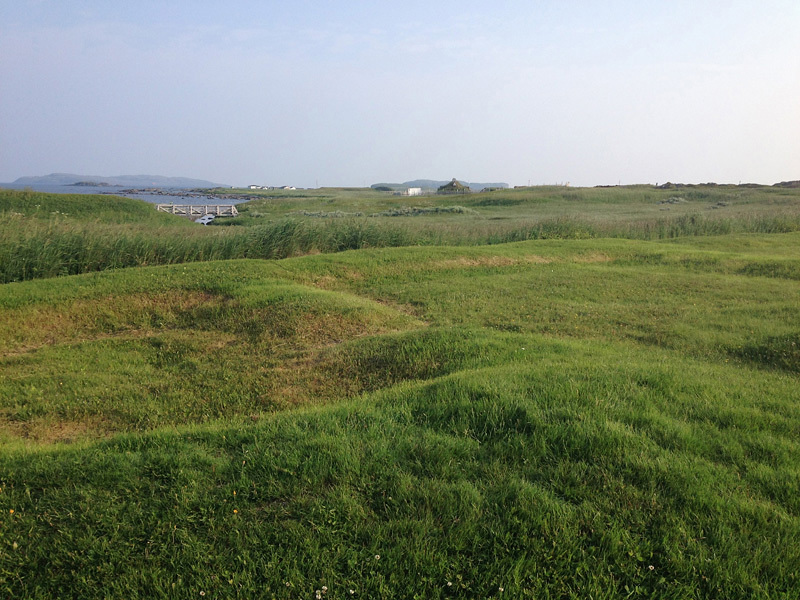 The archeological remains of turf longhouses form a semi-circle around the cove where Norse explorers had established a temporary settlement circa 1000. Over a five-day period, I am shooting a video intended for gallery installation. 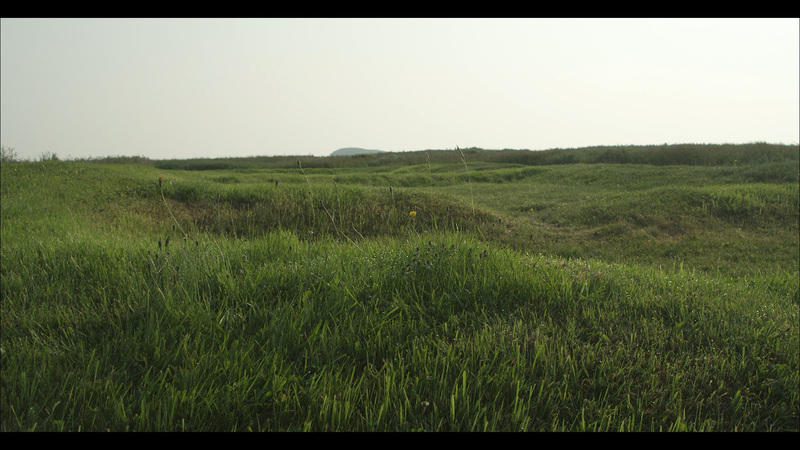 Equipped with a 4k digital cinema camera, and accompanied by Terryll Loffler and Andreas Rutkauskas, we are filming the landscape and archeological remains, as well as people, in a style that can be described as video portraiture. 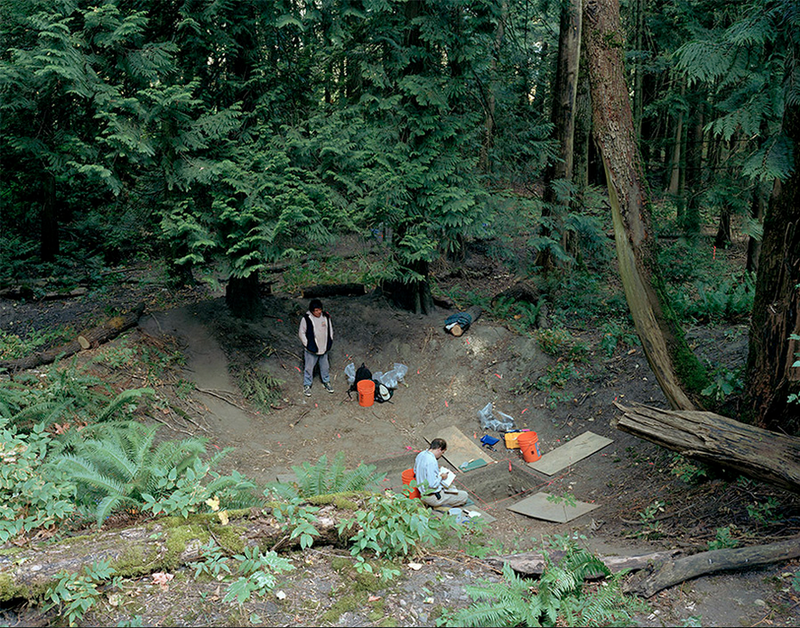 The idea is to perform a visual excavation of the site. 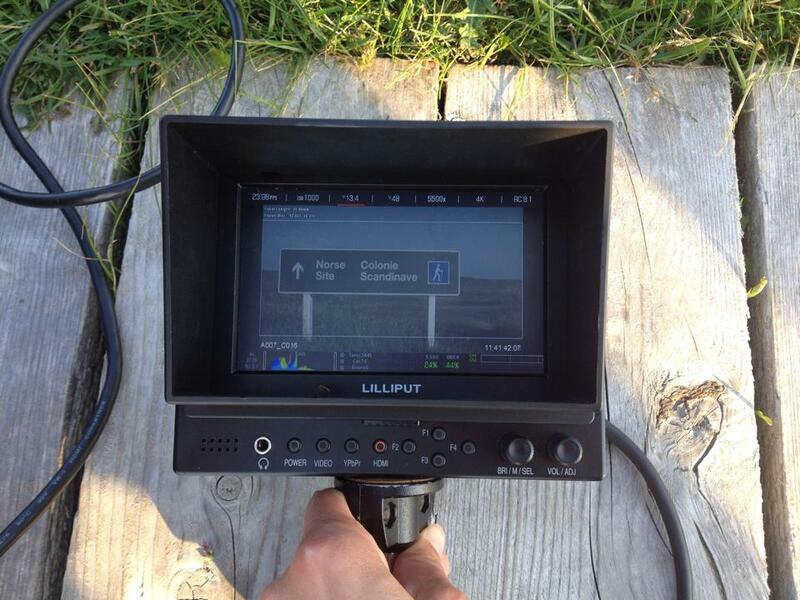 Using a high resolution cine-camera will support the feeling of “being there” for the gallery viewer. Capturing a video portrait of Dale, a Parks Canada interpreter. The reconstructions of a longhouse and outbuilding are based on the floorplan of the mounds seen in the first photograph above. Scan from a 4×5 negative. Special thanks to Parks Canada for their collaboration. 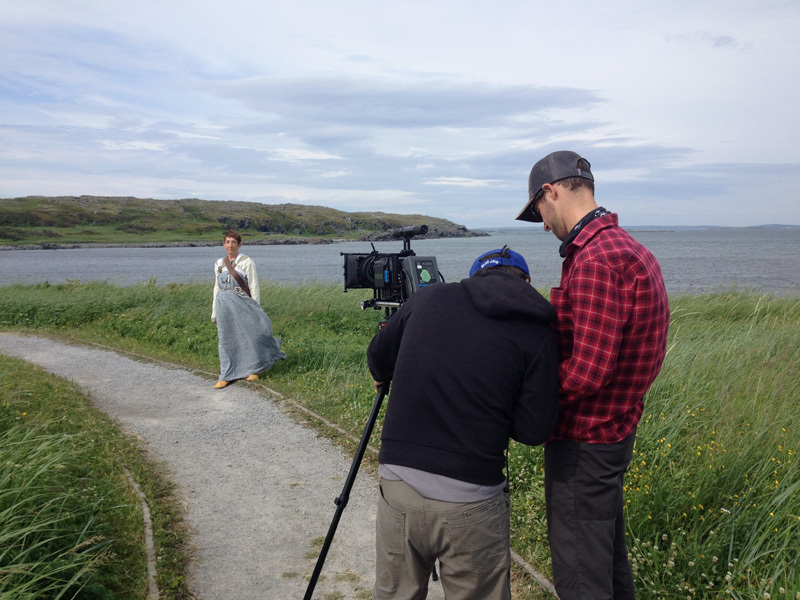 “A New World” was filmed on location and with the permission of the Parks Canada Agency, at L’Anse aux Meadows National Historic Site UNESCO World Heritage Site, Newfoundland and Labrador.